The issue of dry yeast rehydration has been following me around since about the time I first wrote about it. A conversation here and there sparked up, often resulting in lengthy discussions on the topic of water vs wort and temperatures. Some took my suggestions and ideas readily, backed up with some info from a scientist who worked on these, while others were more skeptical. In either case it seems that people who tried rehydration in warm water preferred it to sprinkling straight into wort. 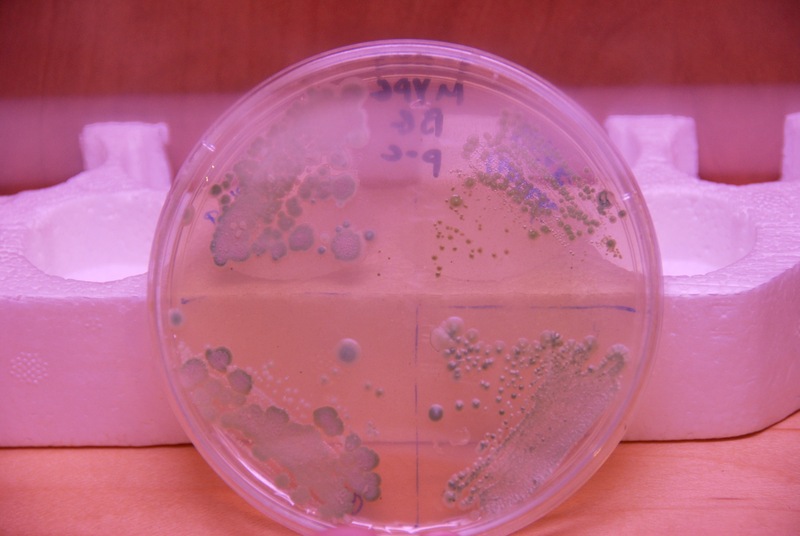 The hardest issue for people to understand seems to be the matter of yeast viability. 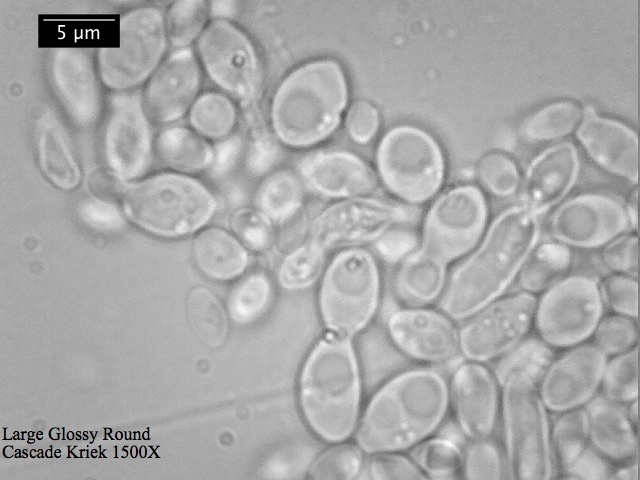 I find it very hard to explain that making a starter with dry yeast is pointless because osmotic pressure would kill a large portion of the initial culture and the time would be simply spent on rebuilding it to its original numbers. It doesn’t seem like it’s a very difficult concept to grasp, but the issue persists. 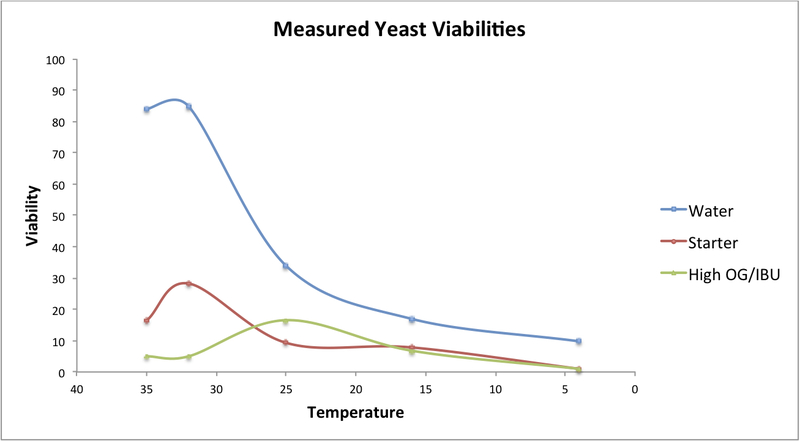 Rather than debating and trying to back it up with simple scientific logic, I decided to conduct a little study to address the questions of temperature as well as sugar and hop compound concentration in dry yeast rehydration. 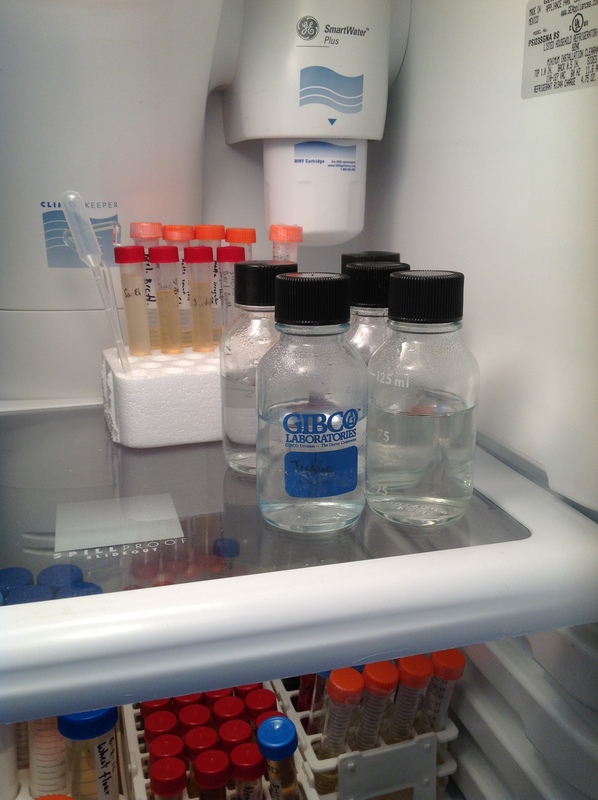 Water – just plain sterile water. 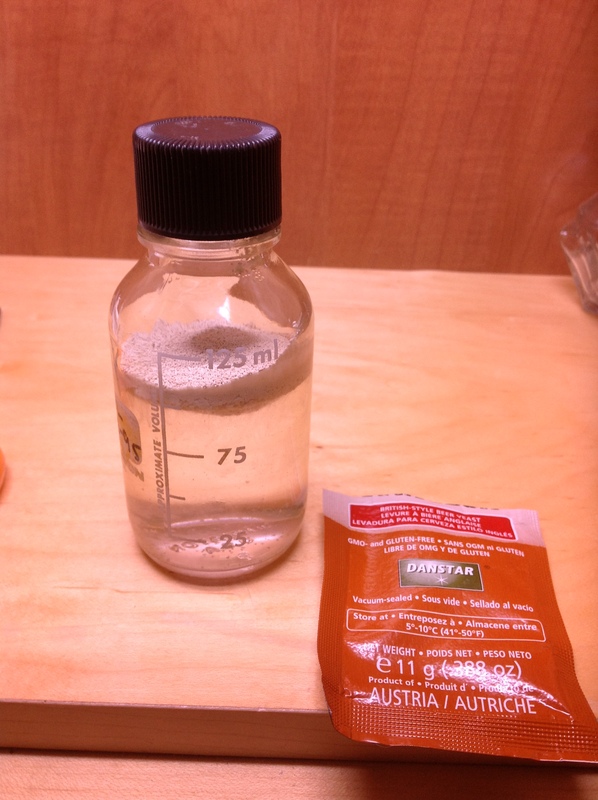 Starter – a simple standard starter made with 100g DME per liter of water. OG ~1.040. High OG/IBU – some wort I had saved in my freezer from an IPA I brewed some time ago. OG of 1.068 and 123 IBU. 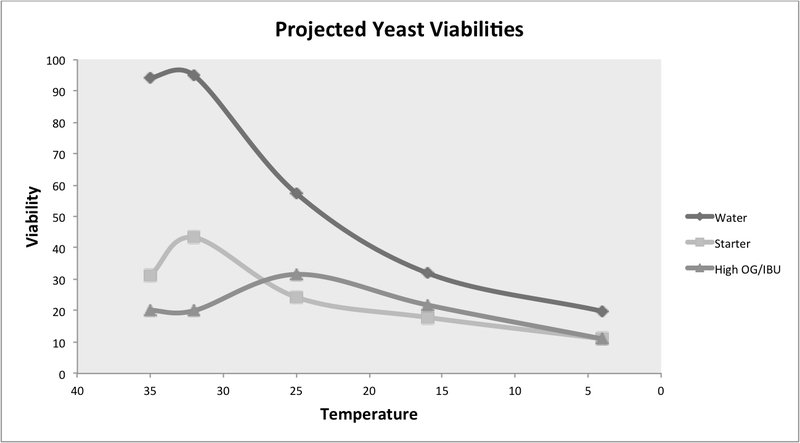 The idea was to test the concept of temperature and osmotic pressure as well as assess the effects of high hop compound concentration on ensuing yeast viability after rehydration. For that purpose I used a packet of Danstar Nottingham that’s been sitting in my fridge for a while. It’s safe to assume that the viability of that culture is not at its optimum, but it’s what I had on hand and its response should be comparable to that of a fresh pack. 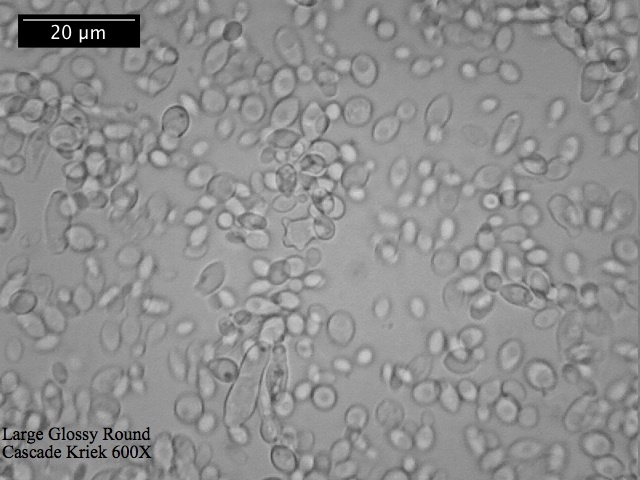 Incubate yeast for 15-20 minutes in each medium at following temperatures: 35C (95F), 32C (89.6F), 25C (77F), 16C (61F) and 4C (39F). Stain with trypan blue and count dead and living cells. For each data point, between 120 and 1500 cells were counted, totaling in around 5000 cells. Let me tell you it wasn’t at all fun. In cases where cell viability was so low that counting would have been a waste of time (see example below), I assigned values of 1 and 5% based on qualitative observation. 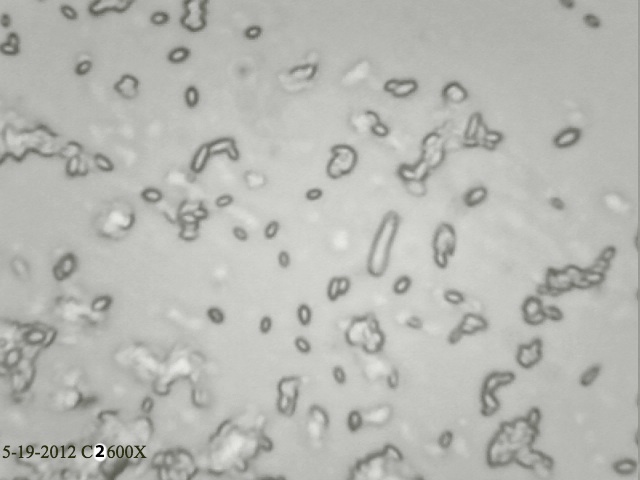 An example of a sample with such low viability that counting was useless. Red arrow = dead cell. Green arrow = live cell. The results were not completely unexpected. 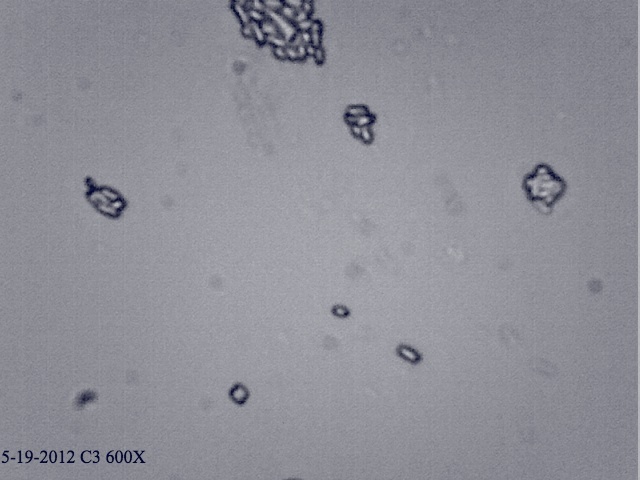 As expected, cell viability was much higher in yeast rehydrated in water rather than in wort. As the temperature decreased so did the viability, though more rapidly than I would have expected. This could be attributed to the age of the packet, but getting 85% viability in water suggests that they are still pretty healthy. 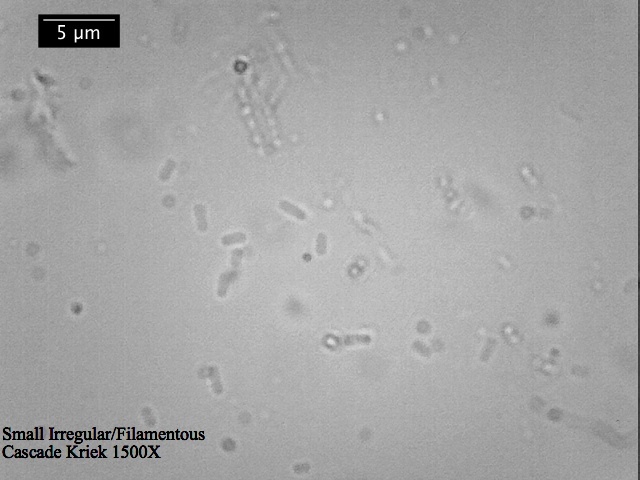 What’s interesting is that starter wort largely imitates the water curve, but with significantly lower live cell counts, but high OG/IBU wort does not. 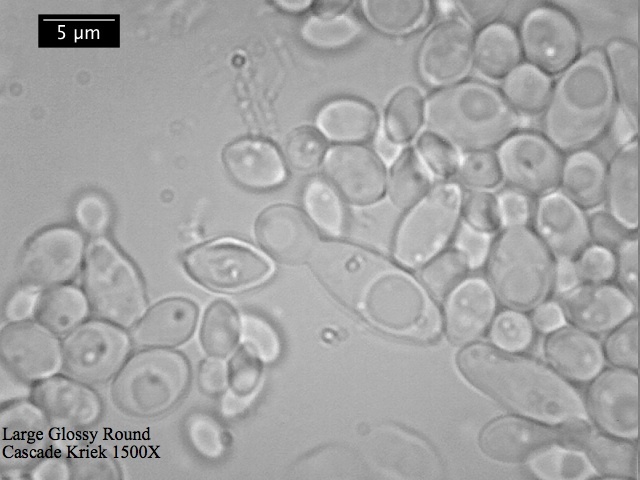 It seems that in those conditions yeast get killed very quickly in warmer temperatures and they survive better in slightly cooler conditions. At around 17C (63F), which is a normal pitching temperature for most beers, the starter and high OG/IBU wort intersect and are almost the same as the temperature decreases. This suggests that when it comes to sprinkling dry yeast straight into wort it makes no difference if it’s a small or a big beer. Osmotic pressure will kill them just the same. Final verdict: Warm water is better for rehydrating yeast than cool water, starter or pitching straight into beer. I suppose the viability curves would be a bit higher if the pack was fresher and they vary a little from batch to batch, so I constructed a theoretical viability curve chart based on these findings, but with an increase of 10-15% so as to not surpass 100% viability and decrease the sudden drop below 30C. I hope this little study has been helpful to you since some of you have been asking me to do a temperature series for a few months now. 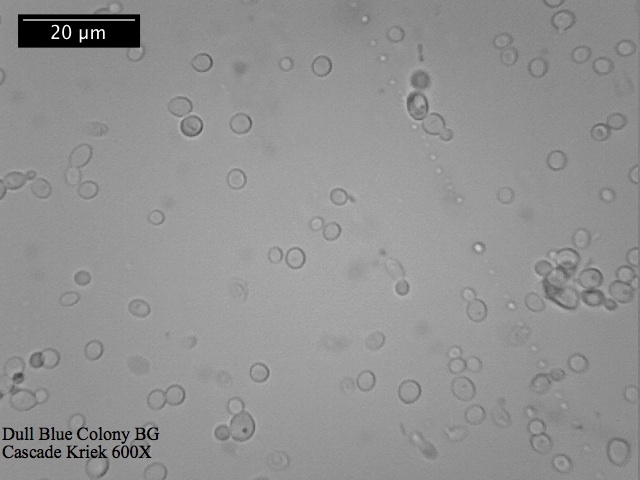 I also hope that this cleared up some doubts and concerns that you had regarding yeast rehydration. Note: Don’t forget to equilibrate the rehydrated yeast prior to pitching into wort as a large temperature differential may kill or mutate a considerable portion of the yeast. Allow the rehydrated yeast to passively cool to temperature of your wort, or add small portions of the wort to the yeast until the temperatures are very close. As always, comments, discussion, critique are always welcomed. 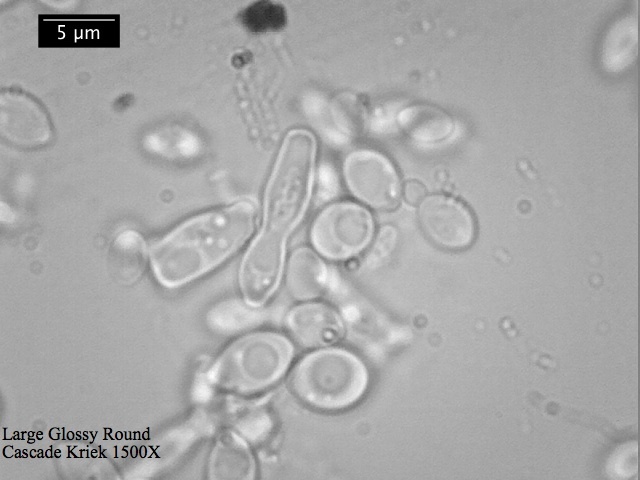 As I’m sure all of you are aware, there is an ever ongoing debate in the homebrewing community in regard to dry yeast rehydration. Some say dry yeast must be rehydrated before pitching while others just drop them straight into the wort. Personally I’ve always belonged to the latter school of thought and indeed have never rehydrated yeast in my life. My main problem with this approach is the idea of letting the yeast just sit in a cup of water for 10-30 or so minutes. Knowing the microbiological prowess of majority of homebrewers this step just screams “contamination” to me. I’ve even seen people say they just use cold water with some fructose in it because “bacteria can’t be active in cold water so there is no need for sanitation”. Another problem is that a lot of new brewers just boil their yeast when they do it by not letting the water cool enough before pouring the yeast into it and then freaking out that there is still no fermentation after 3 days. Recently this topic caught my attention again and I decided to try rehydrating and show how I’d do it so that perhaps some new brewers would avoid making silly mistakes. As always if there is an error with my approach, I’d be happy to discuss. First of all there is a debate on water vs wort rehydration with evidence seemingly pointing in the direction of “rehydrating in wort kills a lot of the yeast while doing it in water does not”. Names like Jamil Zainesheff and Chris White are often mentioned and their experience and expertise sited. An interesting study HERE addresses this issue and though I find reports utilizing methylene blue vital staining dubious, I’m going to choose to believe this one because it seems credible, well composed and with good references. Perhaps some day I’ll repeat this and check with other stains (been aching to try Neutral Red and Phenol Red as vital stains lately) when I have a little more time and energy. Thus we will continue this little project under the assumption that rehydrating in water is better than in wort and its temperature in terms of RT vs 80⁰F has no significant effect on yeast viability. I think the reason why they die in wort is osmotic pressure and cell wall fragility. 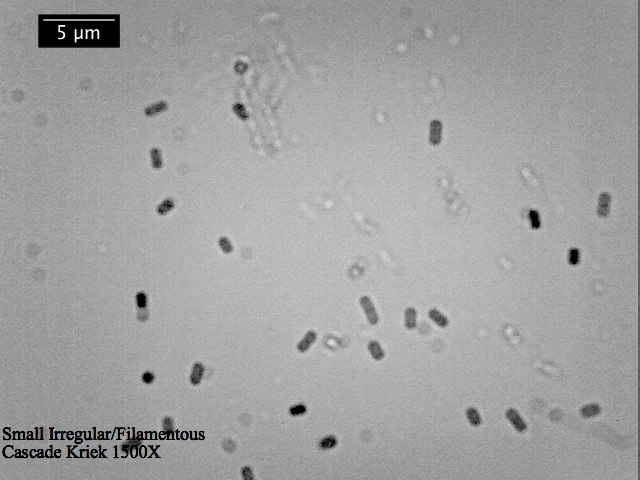 These guys are just waking up, their cell membranes are literally like a mesh so they are unable to control what goes in and out, and suddenly they are dropped into this sugar-rich and hop-rich environment and some cells are just too weak and couldn’t rebuild their membranes yet and get killed, i.e. they are unable to retain the water inside and it’s being sucked out by the relatively high sugar gradient outside, sugars rush in, hop acids and oils rush in and so on and so forth and basically poison or physically rupture the cells. It is fortuitous that I recently came by a whole box of 30 autoclavable 125mL glass cell culture bottles along with some other glassware (they just kind of dropped into my lap as me and some guys were on our way out to celebrate passing our qualifying exams and advancing to candidacy, which also means that I was wondering the night NYC subway drunk and with a box of glassware later that night). For the next couple of weeks there was no obvious application for them until this dry yeast idea came into my mind. So, after washing them in boiling water and soaking in ethanol to disinfect just in case there was anything there, I filled them up with around 100mL water and sterilized in the pressure cooker at 15 psi for 30 minutes. Both Danstar and Fermentis recommend rehydrating in sterile water or wort that is 10 times the weight of yeast so 100 mL for an 11g packet should be good. After that their directions differ in that Fermentis recommends stirring/shaking while Danstar advises not to do it until later and also recommends feeding in a little wort at later stages to get it to the same temperature as the wort prior to pitching. What I decided to do is just rehydrate in room temperature sterile water as per Danstar instructions since I’m using their Windsor yeast and then pitch without the wort additions. 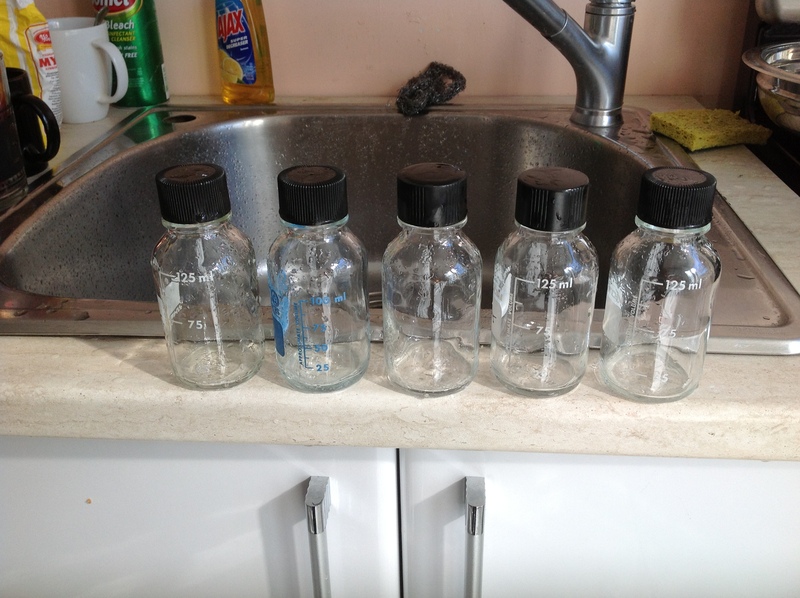 After sterilizing the bottles with water in them they were allowed to cool to room temperature and then stored in the fridge until needed. On the brew day one bottle was taken out and allowed to warm up as the day went on. During wort chilling the yeast packet as well as scissors used to open it were rubbed with alcohol to sanitize and minimize possible contamination and stored under UV light (yes, I finally installed UV light in my hood) until use. Warming up for use. Could those be Brett starters in the background? Contents of the packet was poured into the bottle and allowed to incubate for 15 minutes. After 15 minutes the yeast turned into a paste-like mass. It was then gently swirled to resuspend and pitched into the fresh wort. Fermentation started much sooner than the normal 12-16 hours I usually see when just pouring the dry yeast into the wort. 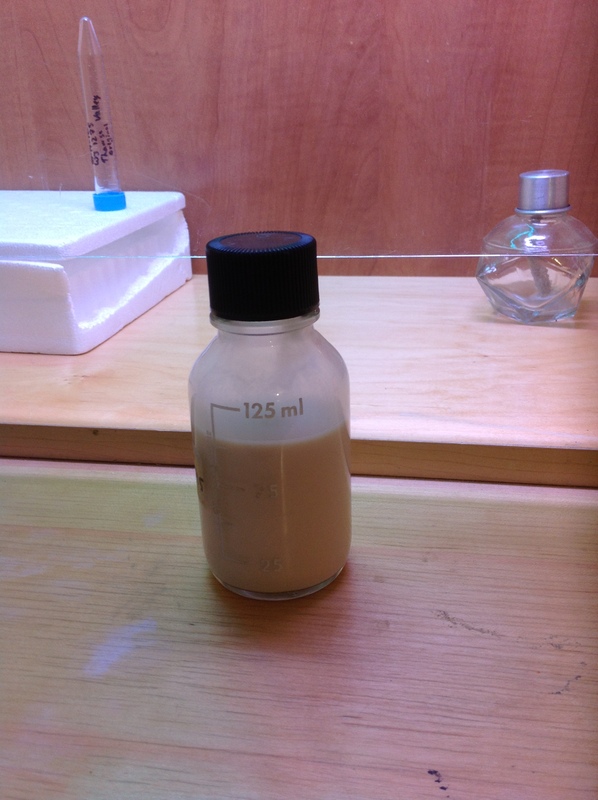 This would suggest that rehydration prior to pitching really is better for yeast survival. All in all this procedure barely adds any more time or effort to my brewday, especially if there are already bottles with sterile water available so I’ll continue rehydrating before pitching in future. 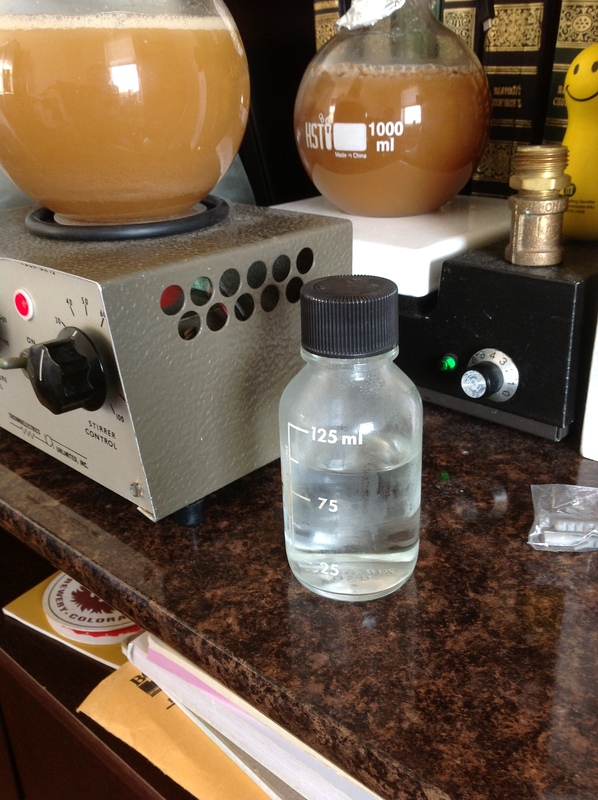 Fill up culture bottles with ~100mL water and sterilize in the pressure cooker for 30 minutes at 15 psi. If such bottles are unavailable, one could use a small jar. Allow the water to cool enough to use or store until later use. Sanitize the yeast packet and scissors used to cut it with alcohol. Pour the yeast into your bottle/jar with sterile water and let sit on our table for 15-20 minutes gently swirling it once in a while. When the yeast reach a paste-like consistency gently swirl the container until homogeneity is achieved. UV lamps and hoods are unnecessary and were only used since I have them. Just do it quickly and carefully at your kitchen table and you’ll be perfectly fine. Hopefully this was an interesting and helpful read for some of you guys. I wrote before about making a yeast extract at home and I just realized that I never followed up on that. Turns out it’s actually a very good yeast growing medium. It’s been used in about 1:1 proportion with DME based starter to make a starters and the results were just unbelievable. 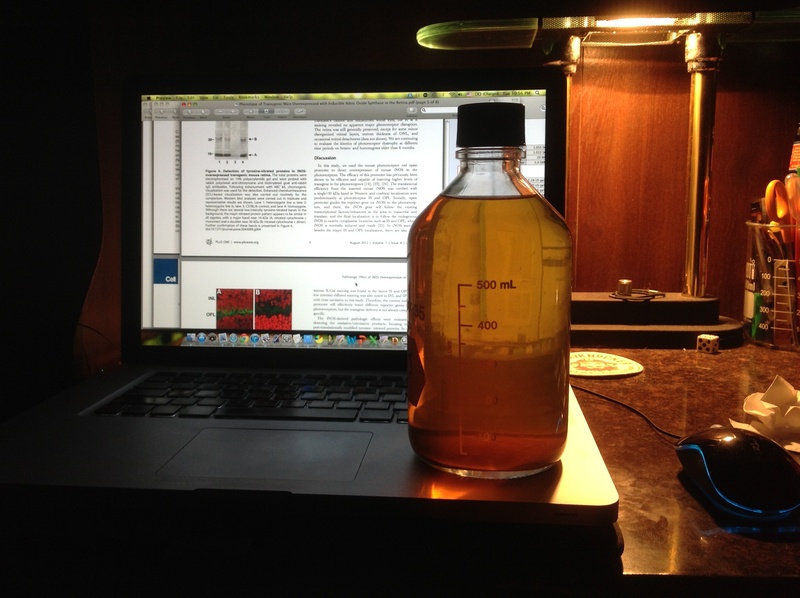 At first the fermentation was so vigorous on a stirring plate that there was actually foam billowing out of the flask. When I first counted I thought there was something wrong and did the dilutions over again and ended up with the same counting results of up to 1.6E9 ml-1 i.e. 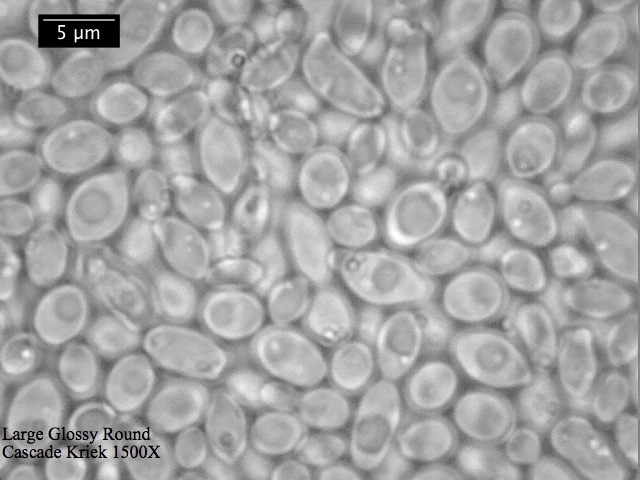 about 1.5 trillion cells in a 1 liter starter. 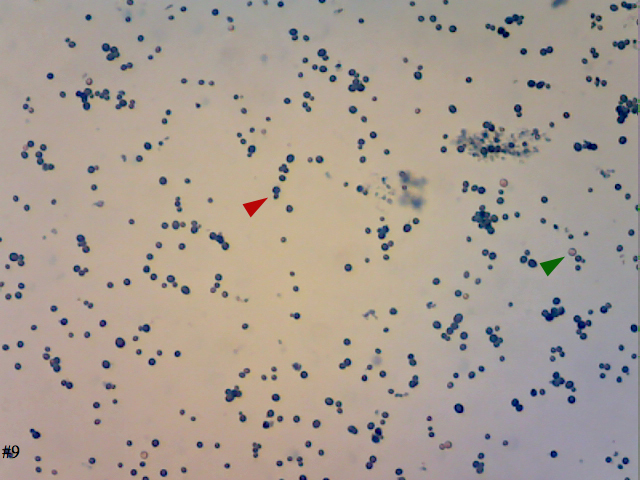 And that’s assuming 80% of the cells seen were viable (don’t feel like staining with trypan blue). It should probably be pointed out that this was tested with Brettanomyces. Since then the proportion has been cut to about 1/10 of the total volume in a usual DME based starter and seems to be working quite well. Another thing to confirm the nutrient richness of this concoction is that I tried making plates with this extract. As some of you know if there are too much goodies in the agar it won’t solidify (for example high gravity wort). In the end I diluted that extract 10-fold and used twice the amount of agar and they were still too soft or not solidify at all. From this I’d conclude that such yeast cake utilization is very nice for growing more yeast if you can do it. Perhaps there is something wrong with my calculations, but judging by the yeast sediments at the flask bottoms at least it’s way better than just DME based starter. I know it’s been a long time and some of you have contacted me regarding the possibility that this project is no longer active, but YES, it is still very active and is progressing! As I’m typing this there are two starters of C2 and C3 spinning on my desk. This weekend (most likely Sunday) I’ll bring some vials of each of these cultures to Brooklyn Homebrew for you Brett-heads to play with. Now, as before, you use these yeasts at your own risk and if your beer turns out horrible and poisonous I am not to blame. It would also be nice to get your tasting notes or even a bottle of whatever you added these bugs to. The yeast count won’t be too high in these vials so if you plan to use them as the main fermentor please make a starter. C2: seems to be a slower grower, and probably a slower fermentor. Forms a pellicle, but not very quickly. Can’t really tell as to how dry it ferments. 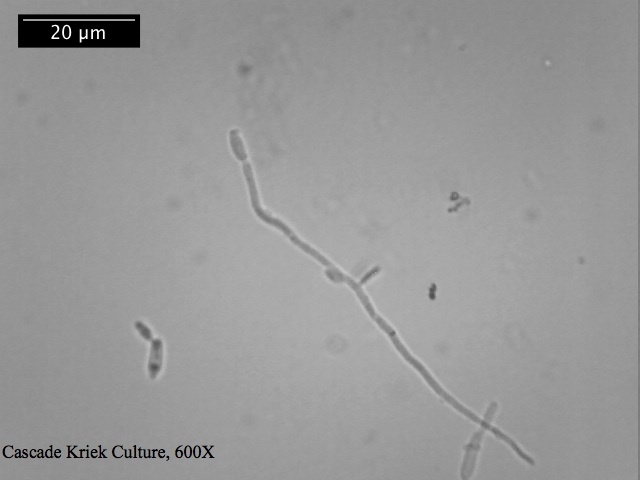 Perhaps the most interesting character of this yeast is the smell. I used it to inoculate 5 and 35ml cultures of both Luria Broth and a DME-based medium and in both cases it ended up smelling sweet and fruity with wild strawberries (Fragaria vesca) coming to mind most of all. At least that’s what I associate the smell with since I grew up picking those things in the forests and marshes. For those of you unfamiliar, imagine a strawberry aroma mixed with wood, earth, damp moss and other warm fuzzy fruits as well as a hint of the typical Brett funk. I don’t know how it would turn out in an actual beer, but I plan to try ASAP and will ferment a batch of blond ale with it as soon as I can brew it. For those of you who know what Luria Broth smells like, to turn THAT into fruits… Quite impressive. Fermenting DME-based medium ended up with same results only more pronounced fruitiness and funk. I’ll start raising a starter for my own brew as soon as I dispense this one into tubes for you guys. C3: seems to be a more vigorous fermentor than C2, raising more krausen and forming a pellicle faster. Again an interesting aroma – sour, funky and citrusy in LB; sour, citrusy, funky and very vinous (like dry white wine) in DME-based medium. Can’t tell you much beyond that. I’ll raise a starter for myself as well for a saison with obscene amounts of lemon/lime/orange peel additions that I have planned. As soon as that’s over with I’ll prepare starters of all three Cantillon yeasts I isolated as well as WYeast Berliner Blend Brett to mail to those of you outside NYC and we’ll discuss mailing and trading arrangements. I’ll make a post when that happens with my email so that you could contact me in that regard.